The Purple Scarf: Shopping: Shoe Wonderland! Heya! 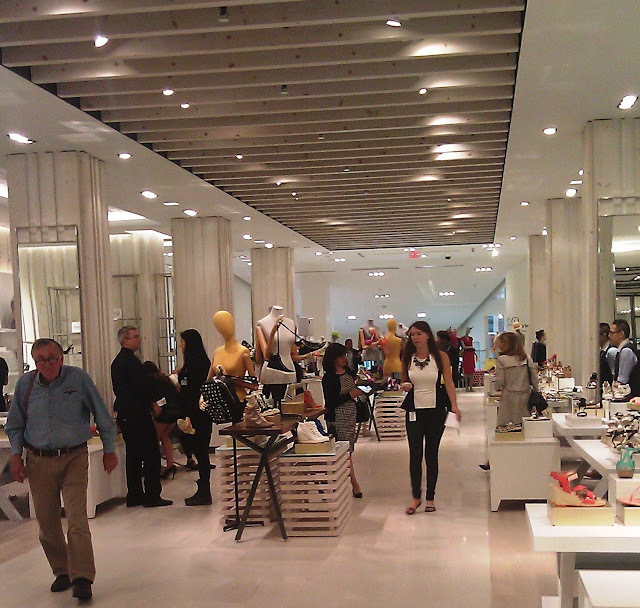 Has anyone been to The Hudson Bay store on Queen Street lately? It has undergone a major transformation! 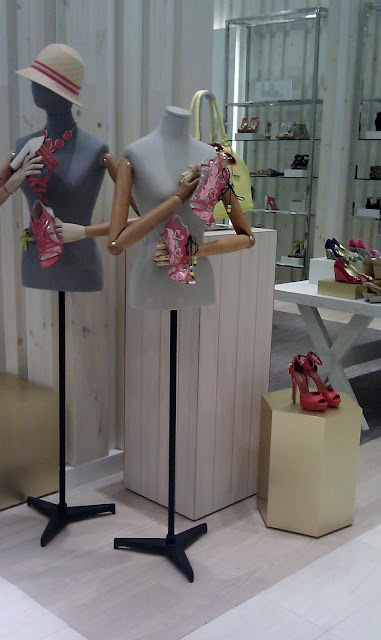 Not only has the store renovated the look and brought in new brands, labels, and shops, like WilliamRast, but has added the most exciting shop ever: Canada's Largest Women's Shoe Shop! 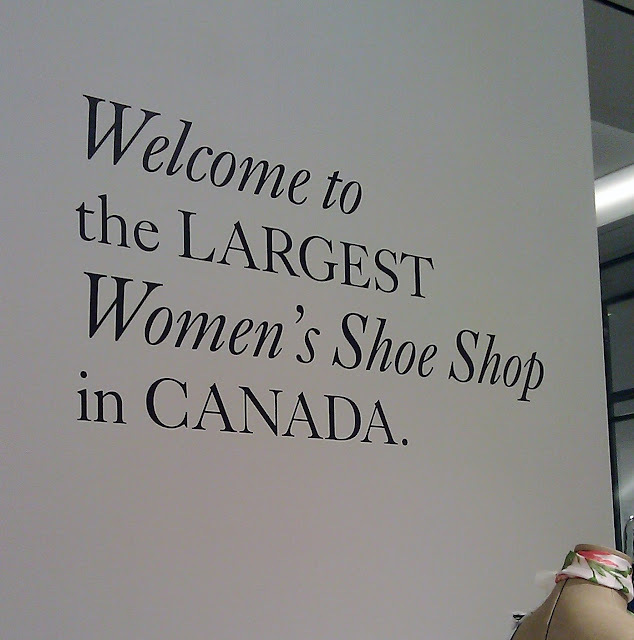 That's right ladies and gents, Toronto is now home to The Largest Shoe Shop in Canada! 50 000 square feet of beautiful, wonderful shoes with names like Christian Louboutin, Azzedine Alaïa, Charlotte Olympia, and Pierre Hardy! Just another reason to love this city! Have you visited The "new" Hudson Bay yet? What do you think? I would love to hear your comments! Or do you know of another wonderland that I need to visit? Please let me know! And P.s! : My most recent lust have! 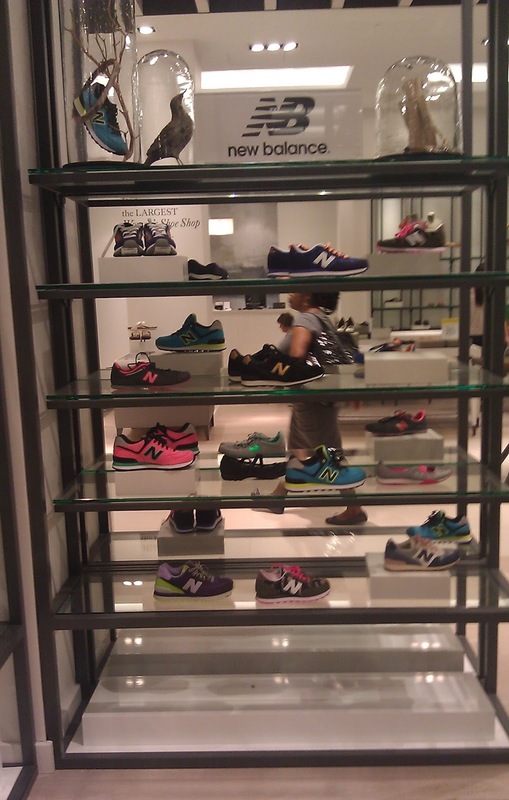 shoes can be found at The Hudson Bay, and right now there is an extra 30% off clearance shoes! I've already bought 4 pairs! 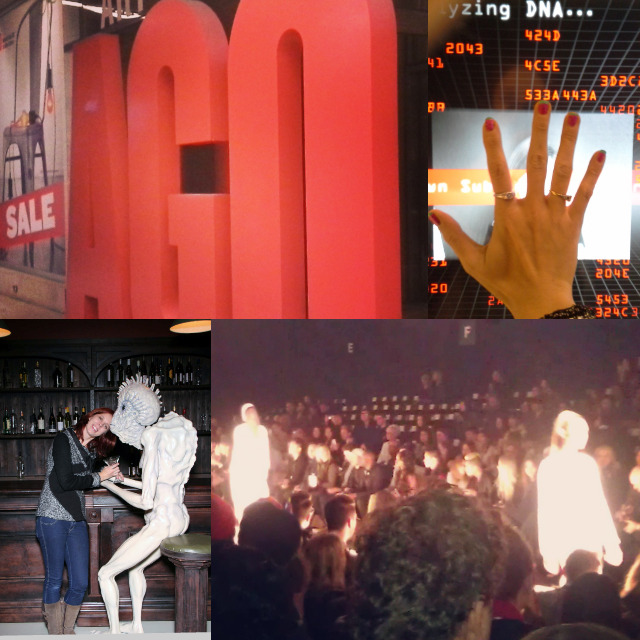 Event: New Ring, Necklace And Nails...Oh My! Style: I Spotted My Inner Degrassi Kid! Style: My Thrifty New Outfit! Beauty: Unperfect Bun Tail Maker! Style: An Old Dress Made New(ish)! Event: My New Summer Fling!